There are only two weeks left for Girl Scout Cookie booth sales in Central Maryland! The last day of booth sales in the region is November 30. Since October, Girl Scouts have been busy putting their business plans into action and selling Cookies throughout Maryland. From dressing up in costumes on Halloween, selling to voters outside of polling places on Election Day, to setting up booth sales near tailgating areas on Ravens game days, Girl Scouts have done an excellent job of utilizing marketing and entrepreneurial skills to make their sales goals. Booth sales have even garnered the attention of local media, with coverage of Troops on the local Patch sites, and Baltimore Jewish Life giving Troop 1726 the opportunity to explain why they dedicate their Sundays to booth sales in front of Tov’s Pizza in Pikesville . “…The funds raised help us offer activities for the girls that help give them a greater view of the world through their creative projects and outdoor activities,” Troop leader Atat Lazar said. Read the full article here. In addition to supporting Girl Scout programs, your purchase of Girl Scout cookies can be donated to support Operation US Mint, the Council’s Gift of Caring, which sends boxes of cookies in care packages for US soldiers serving overseas. A small way to express our gratitude, the program puts Girl Scouts in touch with members of our US military and gives US soldiers a comforting reminder of home. Donations can be made at any booth sale—just ask about the Gift of Caring. Booth sales will be held throughout the rest of the month, and many will be at shopping locations the night before Thanksgiving and Black Friday. 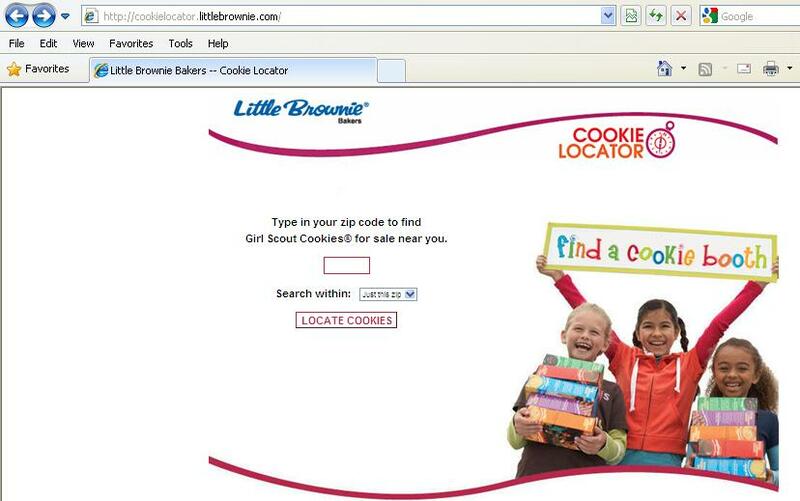 Booth sales near you can be found by using our Cookie Locator at cookielocator.littlebrownie.com. Just enter your zip code and pick a date! I would like to find out which vehicle I can use to express to GSCM the sheer delight each and every Mom and daughter feels to be members of Katina Denikos and Michelle Harder’s Troop 4768. I would like to expand regarding not only our recent trip to Savannah to visit the GS Headquarters and Juliette Gordon Low’s house-the beginning of it all!! Such an informative and enriching trip in so many ways. I know I speak for the entire group-20 Moms and 21 Cadettes-that were lucky enough to experience such a wonderful, fun filled, educational trip-WE LOVE YOU KATINA AND MICHELLE for the beautiful, life changing, lifetime memories you two give to not only our girls but their Moms too! !